When working on a cruise ship keeping in touch with family and friends online is essential for most. Bahamas Paradise Cruise Line is offering totally free internet for all crew members on all ships in the fleet. The cruise line which offers cruises out of Port of Palm Beach, Florida has rolled out a free internet service for all crew members. This will make keeping in touch with family and friends at home much easier. The complimentary wi-fi access will cover all crew areas onboard and even guest areas too. The reliable wifi service for the crew and guests allows the use of video calls and downloads along with the regular social sites and browsing. At the moment 1GBit connectivity is available when the cruise ship is in port or nearby. Due to the straightforward route between Florida and Grand Bahama Island, the cruise line has the opportunity to augment conventional, satellite-based connections with high-speed terrestrial circuits to make sure users can get a superior service. When the ship is at sea the connection is more limited but Bahamas Paradise Cruise Line is working with a partner to expand service and increase performance while at sea in the future. It gets even better with plans for better internet service for guests checking-in for their cruise vacation and the introduction of handheld devices to reduce waiting times at the terminal. It’s so good to know that Bahamas Paradise Cruise Line is now providing free internet for the hard-working crew on Grand Classica and Grand Celebration which are the only two ships the cruise line currently operates from Florida. On most other cruise lines crew members must pay to use the internet and the only way they can get it for free is by going to local port crew centers or wi-fi spots when a cruise ship makes a port of call. This can often be frustrating especially when the crew doesn’t always get a chance to go ashore. Hopefully, in the future, more cruise lines will offer this essential service to the crew at no cost. Bahamas Paradise Cruise Line is a young company offering short cruise itineraries to the Bahamas from Port of Palm Beach. 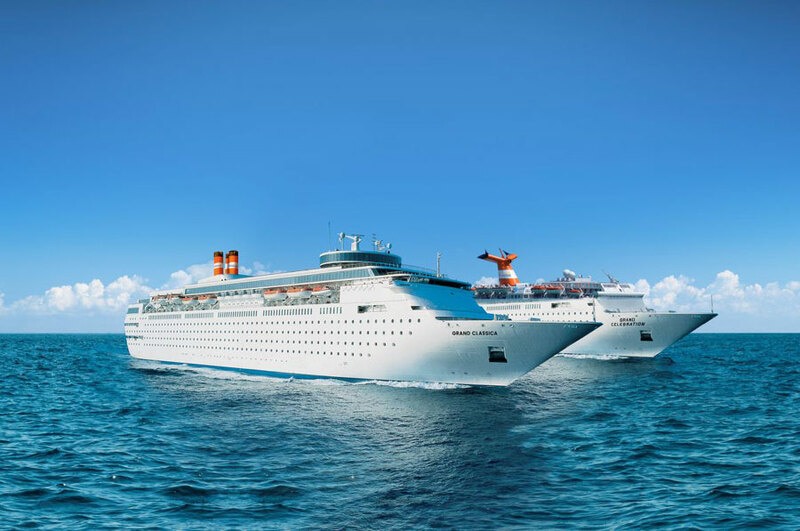 The two ships sail 2-night cruises to the Grand Bahama Island and Grand Classica recently joined in April 2018 after being purchased from Costa Cruises.